Home World News	The Breakdown: Four Years On, No Resettling Plan for Refugees. Also: Why Aren’t There More Fatal Police Shootings in Australia? The Breakdown: Four Years On, No Resettling Plan for Refugees. Also: Why Aren’t There More Fatal Police Shootings in Australia? Australia has been harshly criticized for its offshore detention program, which has cost the federal government billions of dollars, with leaked reports published last year by The Guardian revealing details of the harsh conditions faced by detainees on Nauru. “Australia’s prison camp on Manus Island has snatched four years from our lives,” Imran Mohammad, who was sent to Manus Island, wrote in The Saturday Paper. 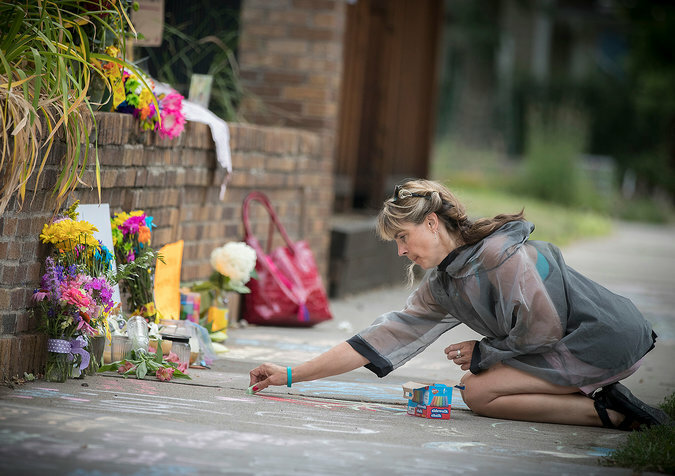 A makeshift memorial in Minneapolis on Monday, near where a police officer fatally shot Justine Damond, a native of Australia. Justine Damond, a yoga teacher from Sydney, died in her adopted city of Minneapolis on Saturday from a gunshot fired by an American police officer. Ms. Damond’s loved ones are desperate for information about what happened, but with the police providing few details, many people in both Australia and the United States are again questioning American police procedure. What’s driving much of the outrage in Australia is that Ms. Damond was one of more than 500 people shot and killed by the police in the United States this year. And even when population is taken into account, that’s far more than in Australia. Specifically, the number of people killed this year by the police in the United States is about five times the 105 killed by the police in Australia — from 1989 through 2011. Put another way, about four people are fatally shot by the Australian police each year, or one per six million people; in the United States, that’s about one in 333,000. Vince Hurley, a criminologist at Macquarie University, said it’s partly because American law enforcement relies so heavily on guns. In Australia, he said, “the reason there have been less shootings is police now have a wider range of nonlethal weapons.” Pepper spray has been standard since the early 2000s, he said. Tasers have been deployed extensively over the past several years. Many American police forces have also put Tasers and pepper spray in the hands of officers. Training and the culture of policing in the United States, however, still tend to focus on potential threats from — you guessed it — guns. When The New York Times sent reporters to ride along with the police across the United States last year, many officers, even in small towns, spoke of their deep fear of being shot. They were taught, they said, to think of survival. It’s worth remembering, he added, that guns are a big part of history in Australia, as is the case in the United States. “The New South Wales police force has been armed since the First Fleet arrived, so firearms being carried by police is nothing new,” Mr. Hurley said. One clear difference between Australia and the United States is how often those guns are used.